Turmeric benefits us in so many ways, but you may or may not have heard about the health benefits of turmeric tea. The spice grows from turmeric root, which is native to India and Southeast Asia. There are an immense amount of studies that show the benefits of this tea. Curcumin is the prime ingredient of turmeric. This gives it its bright yellow color. Like green tea, people have been consuming turmeric for thousands of years. With all the studies on this spice, it seems that its popularity is for a good reason. Curcumin the primary ingredient of turmeric has been shown to protect cells from damage. It's because it's an anti-inflammatory. This effect reduces the risk of cell mutation and as a result, reduces the risk of cancer. This herb also has effects against cancer. This means that it can kill cancer cells and slow the growth of the tumor. Even the National Cancer Institute believes that the spice is an agent that prevents cancer. Most of the evidence on this subject comes from animals. Studies have shown that turmeric can reverse animal depressions. However, the results also seem good for humans. A study in humans used 60 people with depression. Some of the candidates took Prozac for their symptoms and the others took curcumin. Both groups said that each treatment helped them. Although the evidence is still at an early stage, it might be worth trying this tea for depression. Alzheimer's is a very complicated disease. We don't know all about Alzheimer's disease, but we know that turmeric can help in preventing it to happen. A big symptom of Alzheimer's disease are the dark patches that appear in the brain. Curcumin has the ability to prevent the growth of these plaques. In addition, since it is an anti-inflammatory, it reduces the loss of brain cells that accompanies aging. This means that this tea can make your brain stay smarter for a long time. Who does not want that? Turmeric can be helpful in controlling arthritis. As it is an anti-inflammatory, it lessens the swelling in the body. Reduction of swelling means fewer symptoms of pain. This makes arthritis much easier to manage. Curcumin is also an antioxidant. Any type of colds, cough or fever can go away when you take it. Curcumin has been shown to improve your body's response to the disease. This means that you will not have to worry about the horrors of a cold with this tea. These effects also apply to infections. This is because the benefits of turmeric also include antibacterial effects. It can fight a lot! 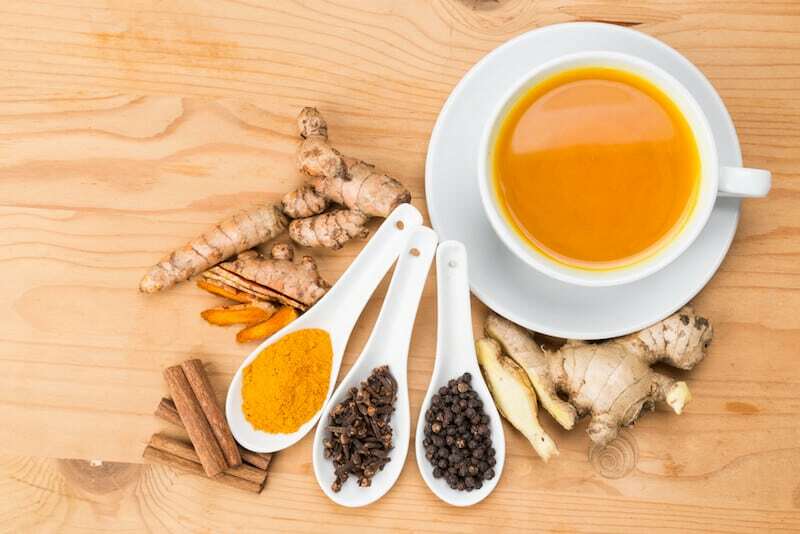 Turmeric tea has been shown to prevent diabetes and help control it. It does this by reversing the problems of insulin resistance and glycemic control. This goes hand in hand with our next point. Hyperglycemia can be converted into fat in the body. Since curcumin can help control your blood sugar levels, it can help with fat loss. Curcumin also increases metabolism, which means it burns more calories. This makes the spice a fat burner. If you have digestive problems, the golden spice could help you. It can promote good bacteria while killing bad bacteria in the gut. This ensures that you get the right nutrients you need from your food. This makes digestion easier for your body. In addition, because curcumin helps to relieve pain, it can help cramps that have come with many digestive problems. Some problems include Crohn's disease, IBD and acute diarrhea. Turmeric can also protect your liver and gallstones. It does this by producing more good enzymes while protecting against bad bile. There is not much proof on this, but some studies show that turmeric can treat some lung diseases. It works because curcumin reduces inflammation, which causes many lung problems. Some of these conditions include asthma, COPD, lung cancer and cystic fibrosis. The effects that this tea has on your skin also deserve to be mentioned. The powder can prevent inflammation of acne, psoriasis and eczema. This is due to its anti-inflammatory effects. The spice can also prevent infections on the skin from appearing. Wrinkles and blemishes can also decrease. The components of turmeric stimulate the growth of skin cells, which keeps your skin healthy and pleasant. Research shows that turmeric softens the arteries and reduces LDL (bad) cholesterol levels. Rigid arteries can cause serious heart problems, such as a stroke or heart attack. LDL can block your arteries and also cause heart problems. Studies show that only a small dose of curcumin can reduce these symptoms. So even trying a little of this spice can make a big difference. An excess of turmeric can increase stomach acidity, which can lead to stomach ulcers. Drinking spice while using anticoagulants can cause bleeding because of its effects on blood pressure. We recommend that you always check with your doctor before using it to be sure. In addition, there are allergies to spices. Be careful before you start enjoying the health benefits that “the spice of life” has to offer. Now that you know the health benefits that turmeric tea can provide. 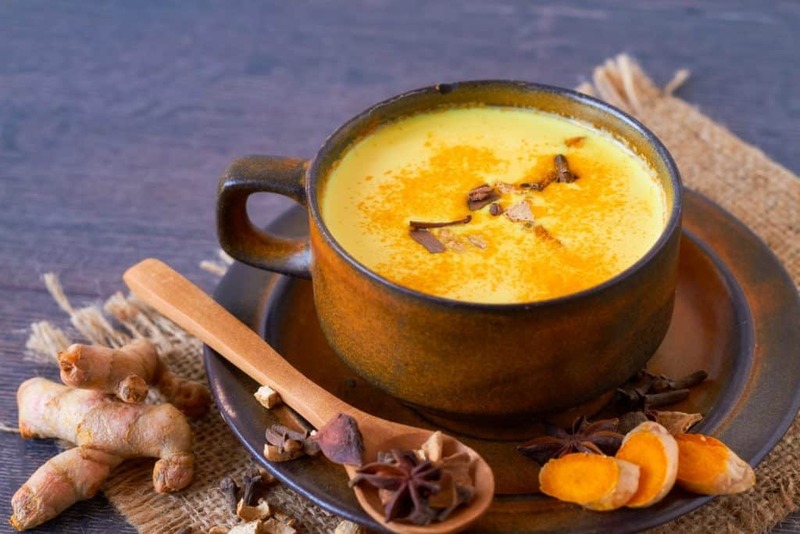 Here is a healthy and delicious turmeric tea recipe you can make at home.